The values you consider acceptable for various coverage metrics are another important kind of filter. 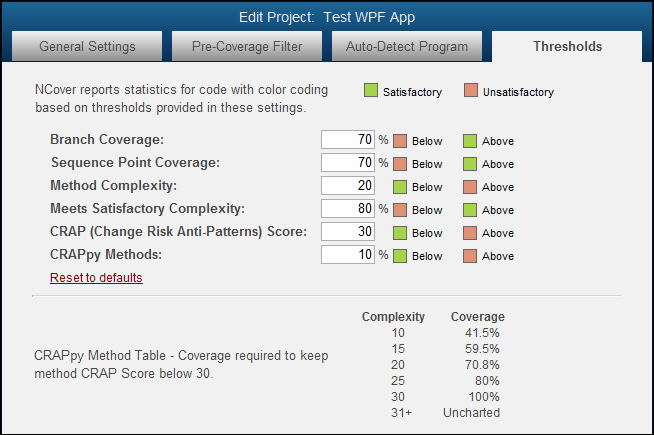 NCover Desktop reports coverage statistics with color coding based on the thresholds provided in these settings, which are set with some reasonable default values when you create a project. You can reset these values at any time from the Project Home view by by clicking and then clicking Reset to defaults on the thresholds tab.